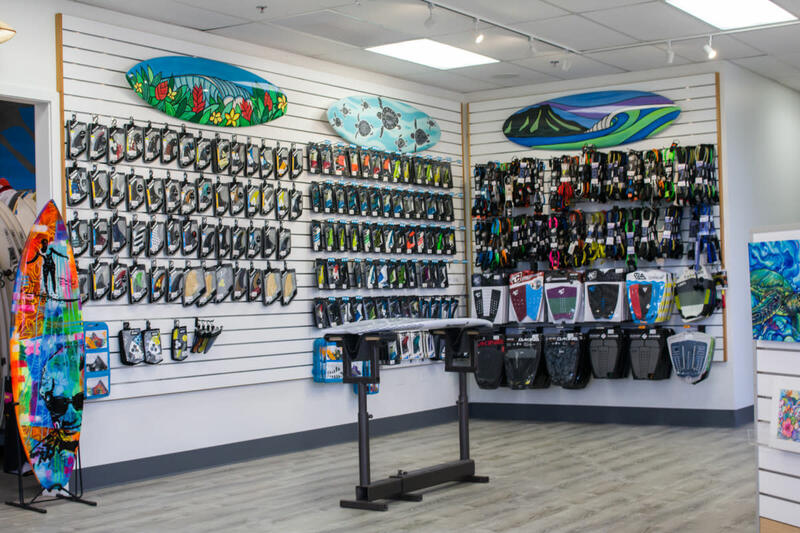 Whether you're a novice or advanced surfer, you can experience the expertise and friendliness of our knowledgeable sales staff, all of whom surf. 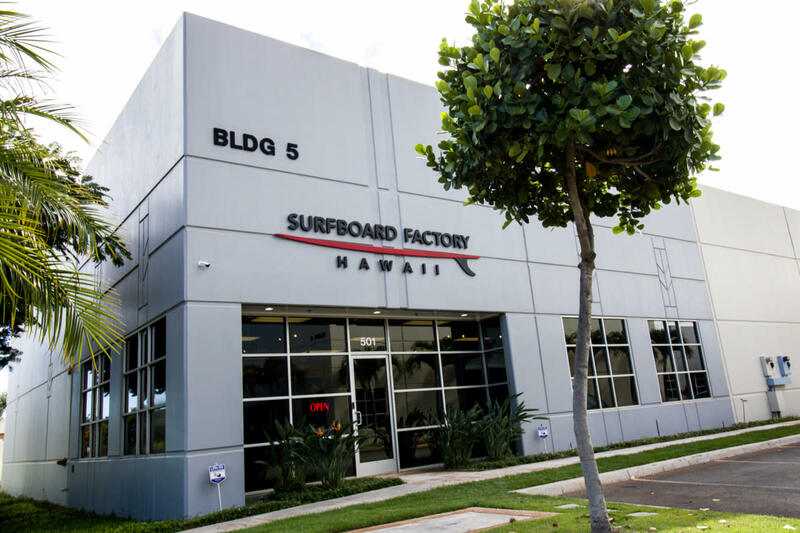 We have the largest surfboard factory in the state, building boards for some of the top brands and shapers in Hawaii, as well as top international brands and shapers. 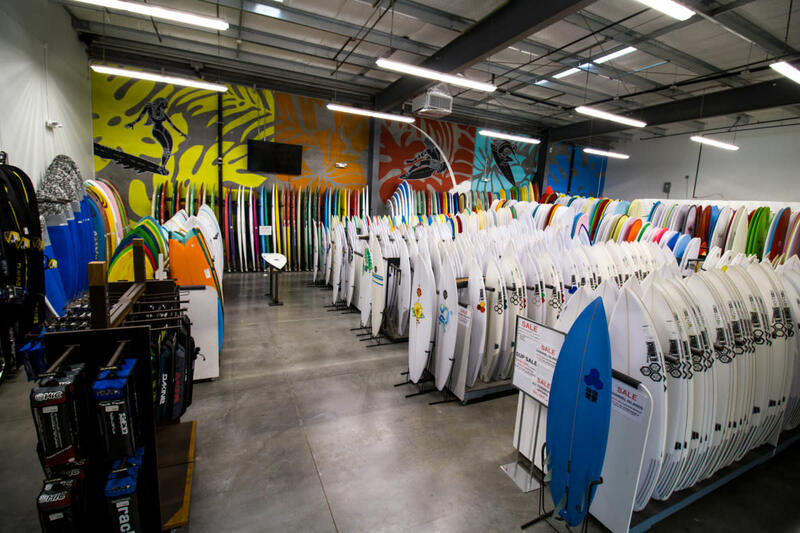 With over 1,000 boards in stock, you're sure to find the right one for your needs. 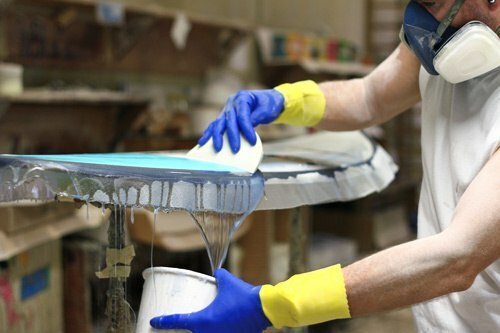 Whether you buy off the rack or custom order, you can purchase with confidence knowing you are dealing with factory professionals. Looking for surf accessories or an SUP? We’ve got you covered with a huge inventory of various brands and models to choose from. As traditional surf shops have downsized their surfboard inventory because of economic necessity, we've increased ours. We've created a place where surfers at all levels of experience can find the right board to maximize their surfing experience. We carry a selection of basic surf apparel including boardshorts, t-shirts, caps, rash guards, and wetsuits, featuring brands such as Hurley, Rip Curl, Xcel, Dakine, and HIC, to complete all of your surfing needs. There is also an in-house “Surf Art Gallery” featuring some of Hawaii’s top ocean-inspired artists. From prints to originals, you are sure to find something that will remind you how lucky we are to live in, or have visited, Hawaii. Feel free to visit and take a factory tour showcasing our talented production crew. 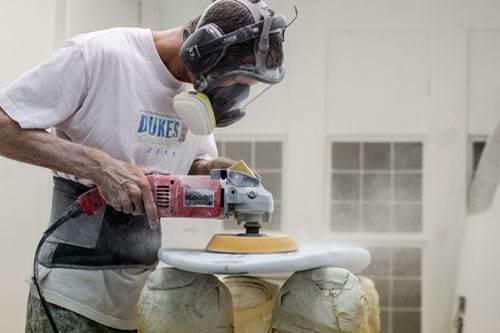 Watch our shapers and glassers at work and witness some of the best surfboard craftsmen in the industry.